Zinga Inc. is one of the world’s leading providers of social game services, including games like FarmVille, Mafia Wars and Zynga Poker. Zynga Poker is one of largest free poker online games in the world available on a number of platforms, including Zynga.com, Android, iPhone and Facebook. If you are looking for free zynga poker chips, there are a number of ways to get them on Facebook. Before we get into how to get free zynga poker chips on Facebook, it is important to caution you against clicking on links you find online that promise you millions of free chips. Scammers and hackers often entice Zynga players with such messages to steal players’ accounts and other details. Be warned. If the deal is too good to be true, it probably is. Report any suspicious messages promising free Zynga poker chips or other goods to Zynga Customer Support at: www.support.zynga.com/contact. 1. Play the game as often as possible. You can earn as much as 5,000 of chips if you use the application daily. 2. Click the lucky bonus button every time you first log into the site. 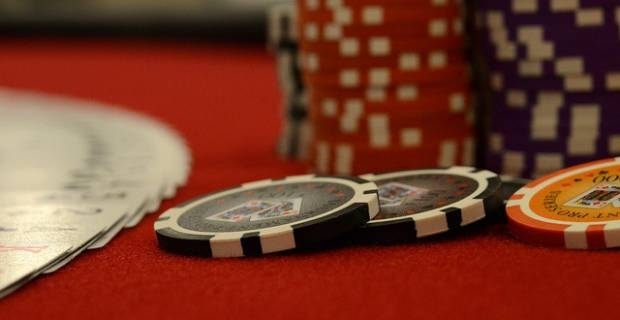 With luck on your side, you can earn a significant number of free chips effortlessly every day. 3. Complete as many achievements as possible (both simple and complex achievements) to win bonus chips daily. 4. Introduce all your friends to the game. You get free daily chips for recommending new players. 5. Follow Zynga Poker on social networking sites. You can earn easy Zynga poker chips by simply liking or sharing their links and posts. There are many software applications online that promise to help you get free Zynga poker chips instantly. Unfortunately, there is NO software that can actually get you poker chips for free. Any Zynga poker chips software programs that promise you a heap of free chips will only get your Zynga account hacked or compromised. Don’t download such "free Zynga poker chips software" and never click on any suspicious links! This will help you keep your Zynga poker account safe and secure.